Recipe from Reem Haroun, founder of Ousher Bakeshop and Cafe. Combine the labneh and place in a dipping container. 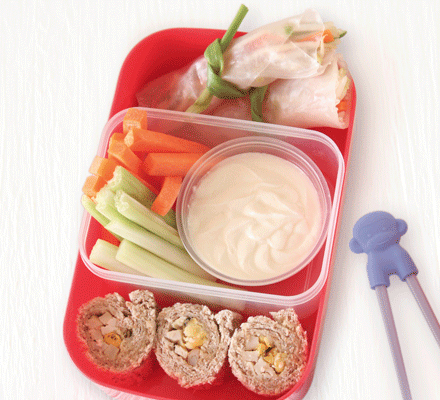 Slice the carrot to 16 pcs and celery stalks to 8 small pcs, and place in a lunchbox.